A group of Cisco’s top engineers, internally called the MPLS team, has just left the company, following a management shake-up last week. 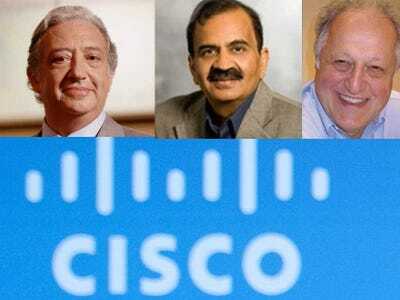 According to the WSJ, Mario Mazzola, Prem Jain, Luca Cafiero, and Soni Jiandani, often called the “heart, soul, and brains” of the company, will leave Cisco effective June 17. Mazzola, Jain, Cafiero, and Jiandani were some of the most powerful engineers at Cisco, leading an R&D effort called the “spin-in” at the company. Cisco’s ex-CEO John Chambers poured billions of dollars into startups launched by them, under a pre-arranged agreement that Cisco would buy their company once the product was complete. Once the most trusted engineering team under Chambers, the MPLS team has lost some of its influence after current CEO Chuck Robbins took over, as three of them were relegated to advisory roles in a reorganization announced last week. The internal memo cited by the WSJ said their decision to leave “is based on a disconnect regarding roles, responsibilities and charter that came to light immediately after the announcement,” indicating there might have been tension brewing between Robbins and the four now-departed executives. As Business Insider’s Julie Bort previously reported, the four MPLS team members continued to report to Chambers, even after Robbins became CEO. They were also reportedly causing some controversy within the company as some employees complained about the big financial rewards they were getting. It’s unclear where the four MPLS members are headed in the future. Cisco’s representative wasn’t immediately available for comment. You can read more about the MPLS team here.